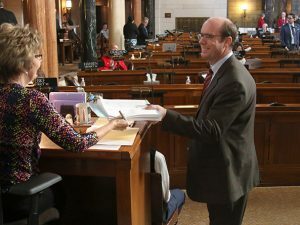 Sen. Burke Harr submits a new bill on the final day to introduce new legislation this session. LB622, sponsored by Lincoln Sen. Anna Wishart, which would adopt the Medical Cannabis Act. Committee hearing schedules can be found at NebraskaLegislature.gov.